If one wishes to see the nature at its best, he must definitely give this place a visit. Oakley Creek is a creek in Auckland which although is greatly influenced by human still holds its natural rawness. 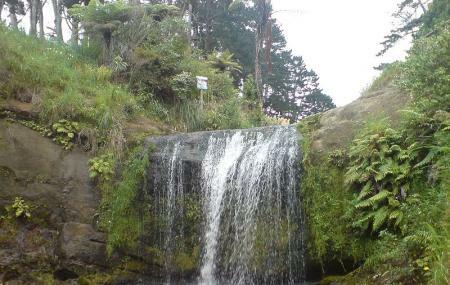 There are various ecological features that make it a worthwhile place to go including the city’s only natural waterfall. Those that are left untouched by humans are home to vegetation and channels. Not only that, the place is also home to some great archaeological sites. Don’t be surprised to see a lot of archaeologists on your visit here. Come to indulge in the world of natural beauty, interact with its varied aspects. Join its local community- Friends of Oakley Creek if you want. It will not only let you contribute in the endeavour but help you befriends the folks as well. Dog friendly areas are available. Parking can be a little difficult due to its location. Best time to visit is after rain. A nice walk hidden away off the main road, but very handy to access points near the motorway. The paths are well formed concrete mostly (although lifted in parts so some awareness needed) with a lot of native flora and fauna to admire. The waterfall was an added bonus so close to civilisation! A little hidden gem. Nice little walkway. The waterfall isn't stunning, but hey it's in the middle of the inner suburbs! Amazing! The falls was surprisingly quite close to my house and I never knew! 🤣 It's a cool place to hang out when u want a quick little trekking experience. Took my moko's. Path was easy for them. The falls are a hidden gem, however, signs around warning not to swim were a disappointment. The water may be polluted? There is a lot of hideous noise from traffic and construction spoiling the setting and environment. Not what you expect in such a lovely place. Just loved it, such beautiful landscape and so natural. Very soothing effect.